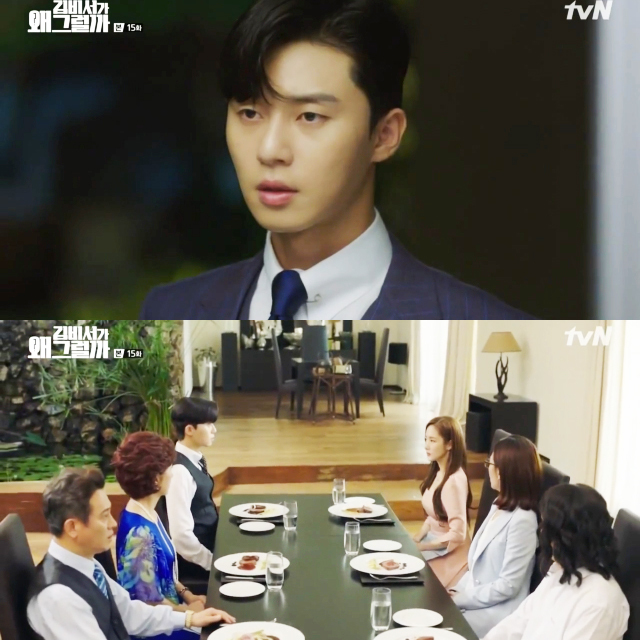 ‘Why Secretary Kim’ ends today (26 July), Will Park Seo Joon ♥ Park Min Young be able to get married? 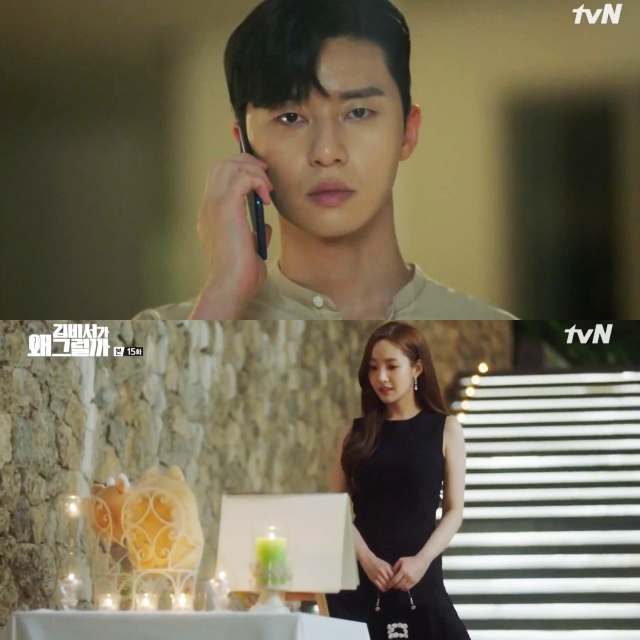 Will Park Seo Joon and Park Min Young will be able to get married in the end? The tvN drama ‘Why Secretary Kim’ will end today in 26th of July. In the 15th innings of drama ‘Why Secretary Kim’ that aired in 25th of July, Lee Young Joon finally proposed Kim Mi So in a very romantic way. Lee Young Joon invited Kim Mi So to his house that night. Lee Young Joon has prepared a perfect proposal like a movie through the sketchbook and when Mi So arrived in his house he she saw it. “Come here, my woman” was written on the last page that lead Mi So to the room where Young Joon is currently playing piano as he ended up singing serenade to Kim Mi So. Lee Young Joon after playing piano and singing then approached Kim Mi So and proposed to her in a very classic way. 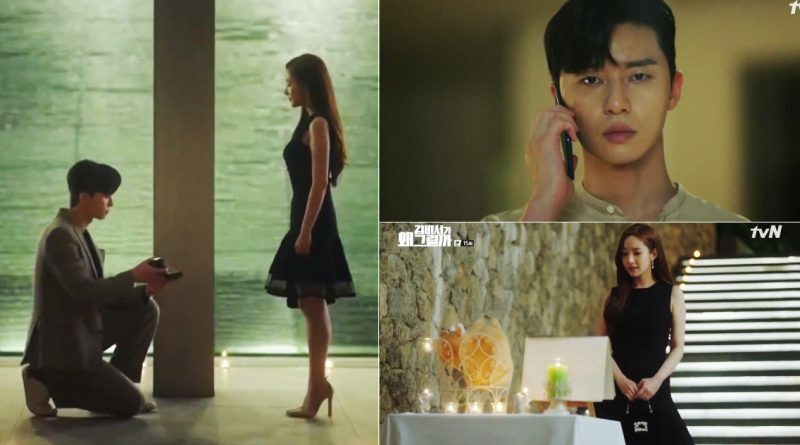 But at the end of the 15th inning of this drama, Lee Young Joon later was seen visiting Park Yoo Sik and said with distressed look ”Why Kim Mi So like that?” and Kim Mi So who said, “I can’t get married like this”. Now the attention is focusing on will Lee Young Joon and Kim Mi So be able to hold their wedding ceremony and get their happy ending. The last episode of this drama will air tonight at 9.30pm local time.